Eighteen-year-old Roger Bresnahan made his debut as a right-handed pitcher on August 27, 1897 with the Washington Senators. 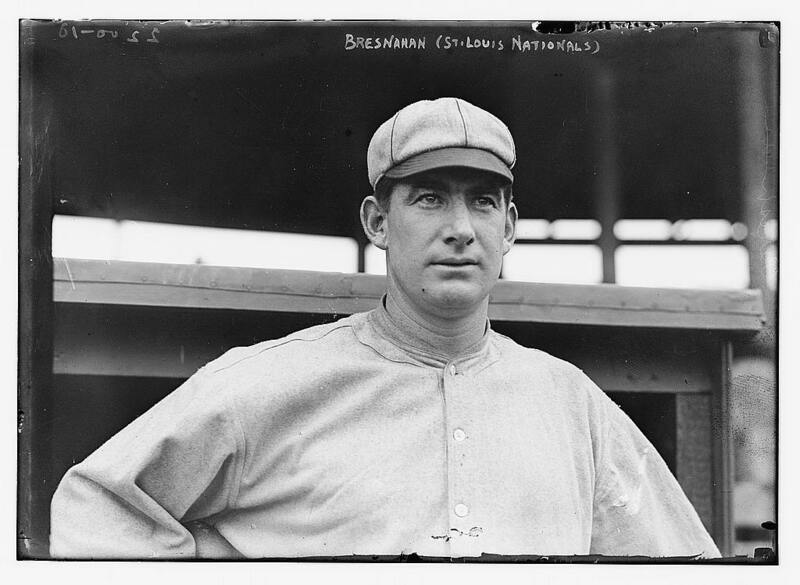 In his debut, Bresnahan defeated the St. Louis Browns, 3-0, en route to a 4-0 season record with a 3.95 ERA. This would be his only season with the Senators, however, and by 1900, Bresnahan was making his first appearances as a catcher with the Chicago Orphans (Cubs). Nicknamed the “Duke of Tralee,” Bresnahan would be elected into the Baseball Hall of Fame as a catcher in 1945. I’m curious about players who make that switch : from pitcher to position player, or vice versa. They’re obviously multi-talented, and it’d be interesting to get an overview of the reasons that these switches are made.